I like security as a hobby and I not so often I read and play with a few simple KeyGen games and I enjoy it. Reversing and KeyGen is very interesting but I'm a beginner and my questions are probably very dumb but I will be very thankful if you could help me. Look for string text reference to find the interesting code area. Just for learning sometimes I try to reverse a few small and medium application that I buy for Windows and looks like simple products without many protections. 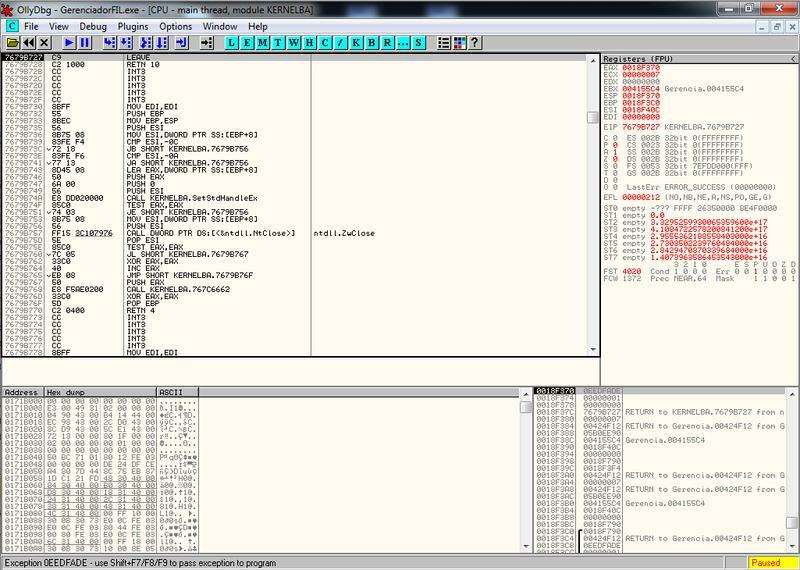 It really appears to be developed in Delphi, with CFF I confirmed it. Also, there is no section that points for an packer looking at CFF information and EXE Information and RDG also say it's clean. 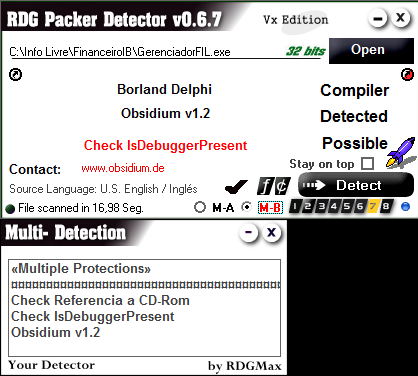 However, RDG found IsDebuggerPresent and pointed for an protection software as you may see. However, I'm not sure if it's a false-positive. 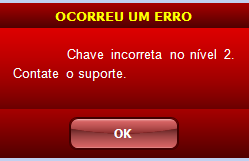 I guess it's not a MessageBox, or at least it's very custom one. For this kind of messages should I keep breakpoints at MessageBoxA, etc? Or there is a different API? Is it some kind of protection? How to disable this part of code, put breakpoints, etc? Looking at "Text String References" I'm able to see just partial messages and not the one displayed on my custom "MessageBox". 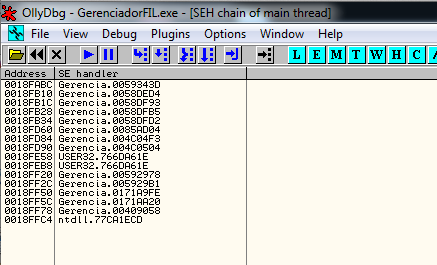 Also, There are many parts that looks like an message that will be completed on the fly, for example "A chave informata esta" which means "They key entered is" or "Chave incorrecta n" which means "Wrong key at". Additionally, I noted that are parts of the application when some texts are not stored as a "TextString", instead I see "char by char" in sequence at OllyDbg creating a few strings (also not very useful to me). Is it a protection? Any idea how to bypass it? 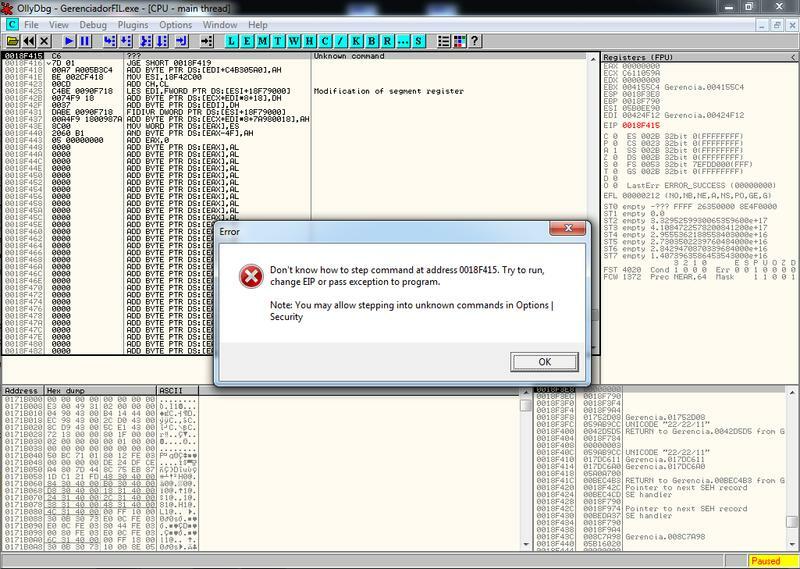 It ends with an instruction not recognized by OllyDbg. Any idea? 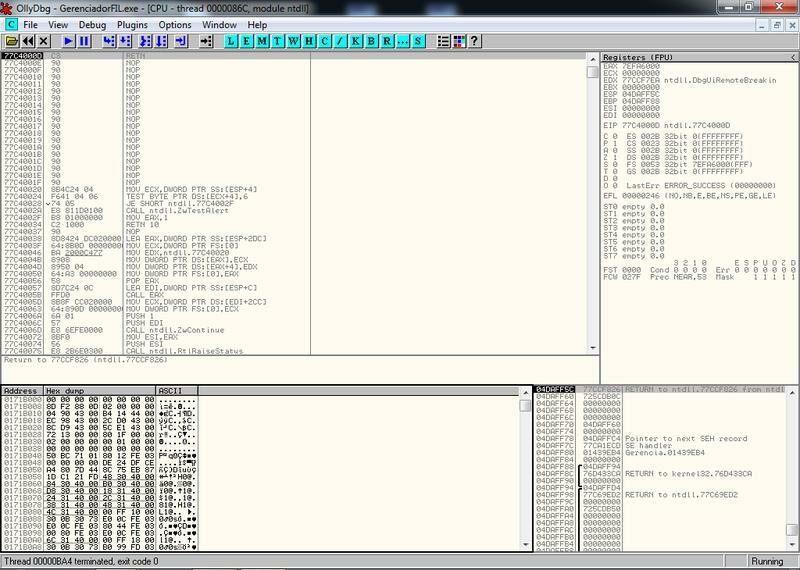 I also tried to set breakpoints in Names from user32.dll such as GetDlgItemTextA and GetDlgItemTextW since I believe they are the APIs used to read my entered serial number. The strange thing is that they are exported and not imported as demonstrated below. Is it normal? 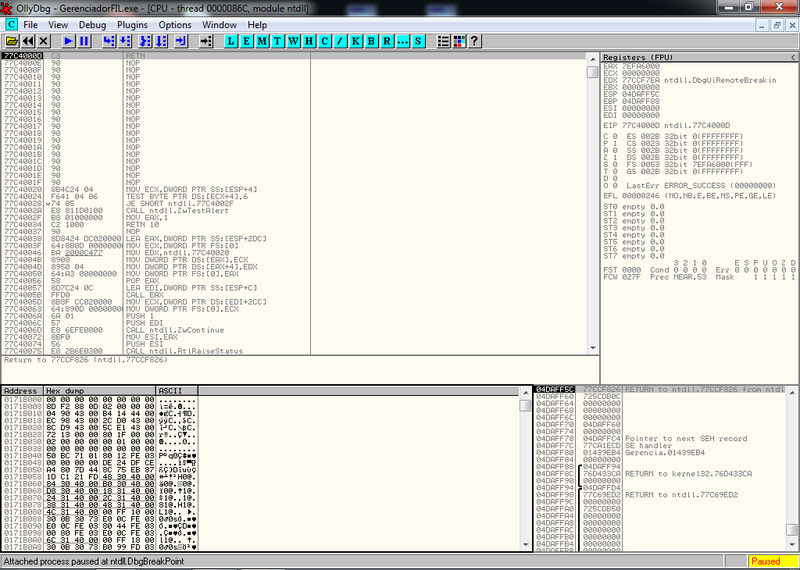 I was thinking it could be some basic Anti-debugging protections, so I enabled "aadp4olly" and "Olly Advanced" with many options but it was unable to solve the issues, so, I'm not so sure anymore about what is issue is. All help and answers are very appreciated, but please, keep in mind that I'm a beginner. Thanks for your answer, but it doesn't solve the whole issue. Please, see details below. Looks a bit strange for a not packed binary, right? But I can't figure out the correct packer. From here I'm forced to pass control to application and I lost control of if as demonstrated on my first post. I tried to freeze all threads and just keep the main thread running but it continues to fail. 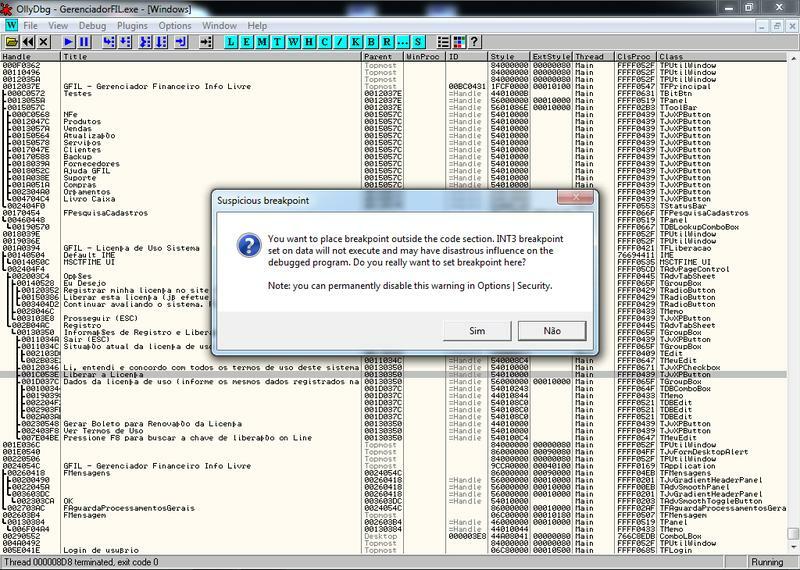 Even Resource Hacker FX fails because it says a new version Delphi was used to compile. 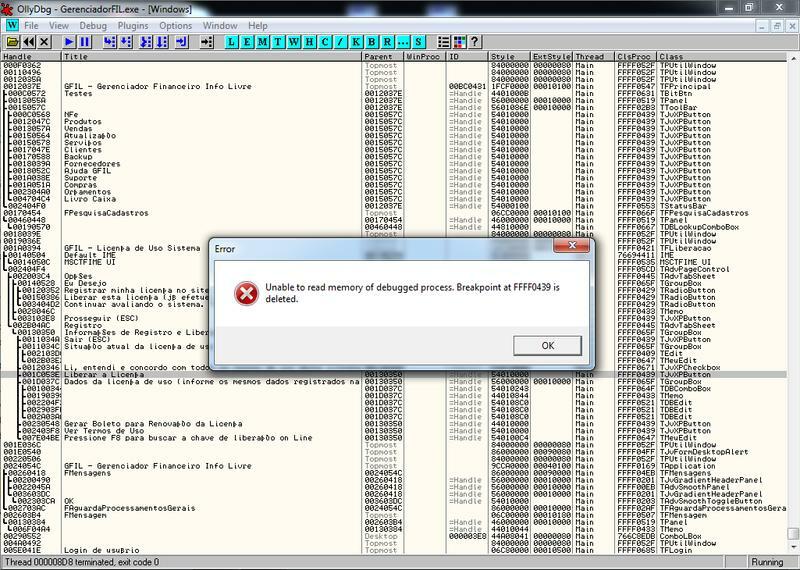 IDR (Interactive Delphi Reconstructor) also appears to be useless since the target application was compiled with Delphi 2011 or 2012 and no definition file is available for this version. Thanks again for your help and effort. 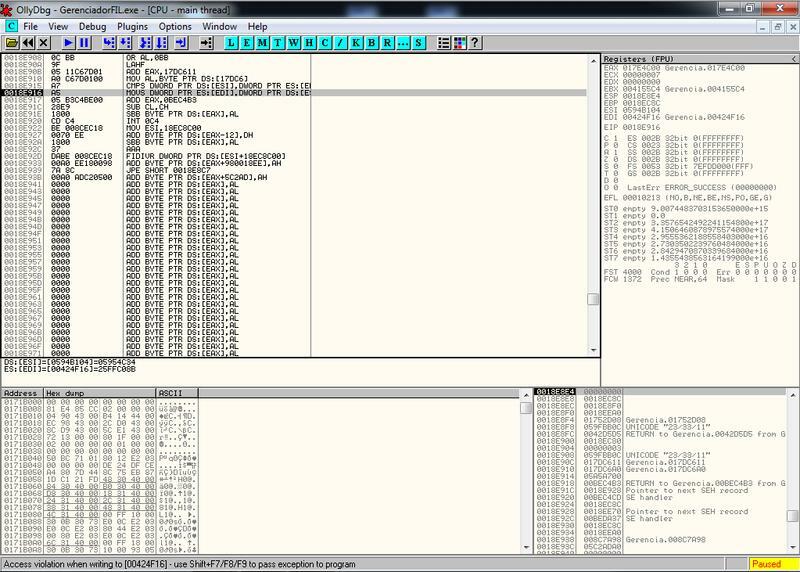 He describes how you can use Resource Hacker (I prefer XN Resource Editor) to find the event handler for the form that calls the dialog you are looking for. With knowledge of the form you are interested in, download DeDe and load the application into it. After DeDe completes its analysis, click on the "Forms" tab and you will see all event handlers associated with that form (OnClick is likely what you are looking for here). With the name of the event handler, click on "Procedures" and find the event and you will see its address. From there, load your application in OllyDbg and set a breakpoint on the address of the event handler that you are interested in. This should put you near where the registration dialog is prompting you. The R4ndom tutorial can describe any necessary next steps from there. I'm not sure it's true in your case, but a common anti-keygenning/debugging trick is to compress the parts of code you're going to want to breakpoint and over-write them at runtime. This way if an int3 is patched in at initial load, a reload will re-initialize the text section and remove your breakpoint. It has more intense applications, but this would be a simple one. 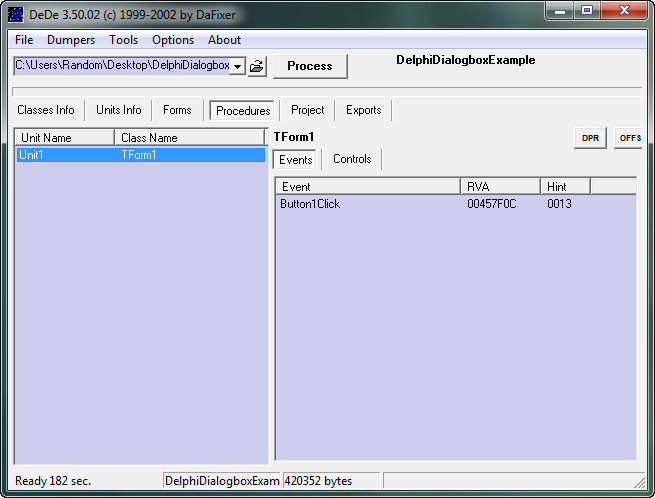 You can use IDR (Interactive Delphi Reconstractor) in order to asssists you in the delphi code RE process.